Today marks the International Day of Rural Women, and on Friday 16th October the world will celebrate World Food Day. It is an occasion to celebrate the progress we have made on reducing hunger and malnutrition, and supporting rural communities across the globe. It is also a marker, with the agreement of the Sustainable Development Goals last month, for us to take stock of how we can accelerate progress and hold world leaders to account in reaching Goal 2: End hunger, achieve food security and improved nutrition, and promote sustainable agriculture. For the 70% of the world’s poor that live in rural areas, agriculture is the main source of income and employment. In a cruel twist of fate, these are also the communities that are most affected by hunger and malnutrition. Goal 2 lights a path towards breaking this intergenerational cycle of poverty and hunger. Female farmers like Halima Naiga in Uganda are already forging ahead, with a little help from the development community. Halima is a smallholder farmer that used to struggle with disease and pests on her coffee crops, which greatly reduced her income. 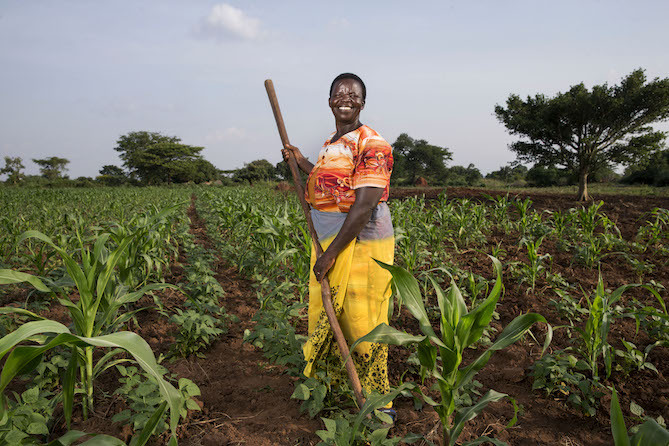 The U.S. Feed the Future Uganda Commodity Production and Marketing Activity connected her to a cooperative savings scheme that helped her buy the right inputs to fight these pests and increase the yield and income from her crops. She has now put that money into educating her children, and she is calling on her government to provide better loans, better education for her children and more support for women’s groups to start income generating activities. If female farmers like Halima were supported across the globe, they could increase their yields by up to 20% and bring 150 million people out of hunger every year. If girls are better educated, as Halima is now doing for her children with her increased income, rates of child malnutrition can come down dramatically. In fact, nearly half of the reduction in child malnutrition from 1970-1995 has been attributed to women’s education. World Food Day gives us an opportunity to learn from the smallholder farmers, fishers and pastoralists who are helping to end poverty in their communities. It is also a reminder that if we do not support them by holding world leaders to account on their promises, we put the achievement of every one of these ambitious Global Goals at risk. We know that investments in agriculture and nutrition work. In sub Saharan Africa, investments in agriculture are 11 times as effective at reducing poverty than investments in any other sector. 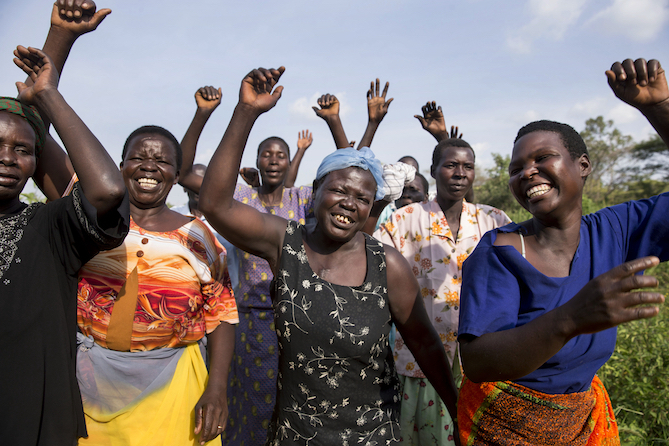 For every $1 invested in nutrition, countries get back $16. Yet world leaders continue to underinvest in the potential of farmers and families like Halima’s. This World Food Day and beyond, let’s make sure world leaders follow through on their promises, so we can end hunger and malnutrition once and for all. Read about Global Goal #2: Zero Hunger and don’t forget to pledge your name to support good nutrition and sustainable agriculture for everyone!